A refreshing hot pink gel mask with 3 sizes of hyaluronic acid to plump and hydrate skin. Plumps, hydrates and smoothes the appearance of wrinkles revealing younger-looking skin with just one use. Formulated with our age-conquering secret weapon HA³, featuring three different sizes of Hyaluronic Acid. 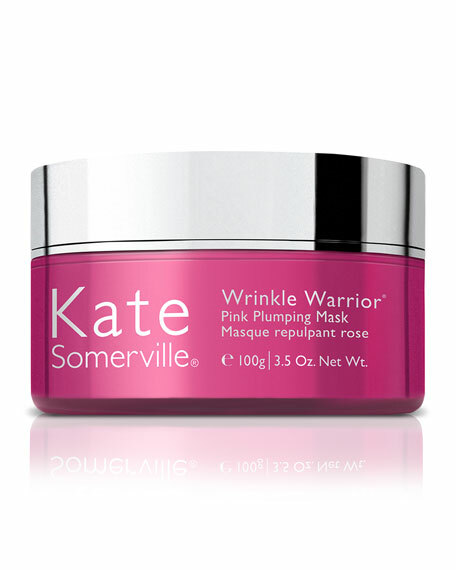 Refreshing gel mask in Wrinkle Warrior® hot pink color. Formulated without Parabens, Sulfates, and Phthalates.